SEO isn’t something that is achieved through the manual building of backlinks, it’s more like getting other people on the web to talk about you and tell their friends how great you and your business are! First, it stands for search engine optimization. Second, it’s the process of getting pages from your website into the top search results of Google. Well, if you’re like most people, you pay money to some shady company who promises front page Google rankings within 3 months, but then you never hear from them again. Or, you pay an equally shady link farm website to include your website – but then, a few months later you find yourself with worse rankings than you had before. Or worse yet, Google has actually delisted your website completed from the search results. The truth about SEO is that it’s all about branding yourself (your business, products, services, reputation, etc…). First of all, Google’s algorithms are too refined these days to accidentally attribute value and PageRank to a site that has spammy, artificial links. Second, because Google’s algorithms are so refined, its really no longer of question of what needs to be done – you need to build a strong online reputation for yourself. You see, it’s the reputation factor that delivers successful “SEO” results. Because when you have a strong, vibrant reputation, that means other people on the web are talking about you and sharing your content. The “talking about you” and “sharing content” element is achieved, on the web, by linking back to you. And now we’ve come full circle back to the issue of linking. But when your site is receiving backlinks from people talking about and naturally sharing your content, that is the kind of backlinks that Google favors. You can’t ask for valuable links like these – you can’t pay for them – and you definitely can’t artificially build them. 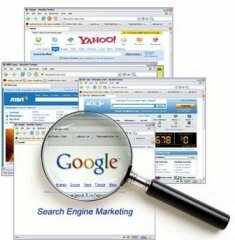 Valuable backlinks – those that are built naturally – occur as a result of you and your website having a strong reputation, and by giving people on the web something to talk about.